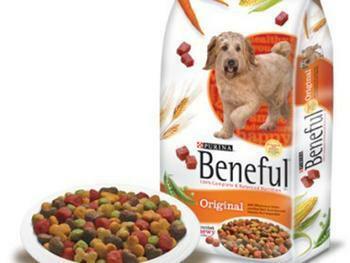 For years, pet owners have been claiming that Nestle Purina's Beneful dog food killed their dogs. But a federal judge last week granted summary judgment to Purina, throwing out a class action case for lack of evidence. U.S. District Judge Edward Chen said there was not sufficient evidence that the pet food, rather than some other factor, was responsible for the dogs' illnesses and deaths, Courthouse News Service reported. The suit was filed in February 2015 by pet owner Frank Lucido, whose English bulldog died and tests found his death "consistent with poisoning." (Later tests, however, determined he died of a heart tumor but Lucido remained a plaintiff in the case). The suit claimed that an analysis of 28 samples revealed three types of toxins: propylene glycol; mycotoxins, a fungal mold on grain; and the heavy metals arsenic and lead. The level of toxins did not exceed limits permitted by the U.S. Food and Drug Administration, an expert witness called by the plaintiffs said. Animal toxicologist Dr. John Tegzes said the FDA limits are "poorly designed." He said they are based on short-term exposure and do not consider the effects of long-term usage. Tegzes said that chronic exposure to the mycotoxins, heavy metals, and glycols found in the food posed a “significant health risk” to dogs and could adversely affect their health over time. But Judge Chen rejected that conclusion, saying there was insufficient evidence to support it.